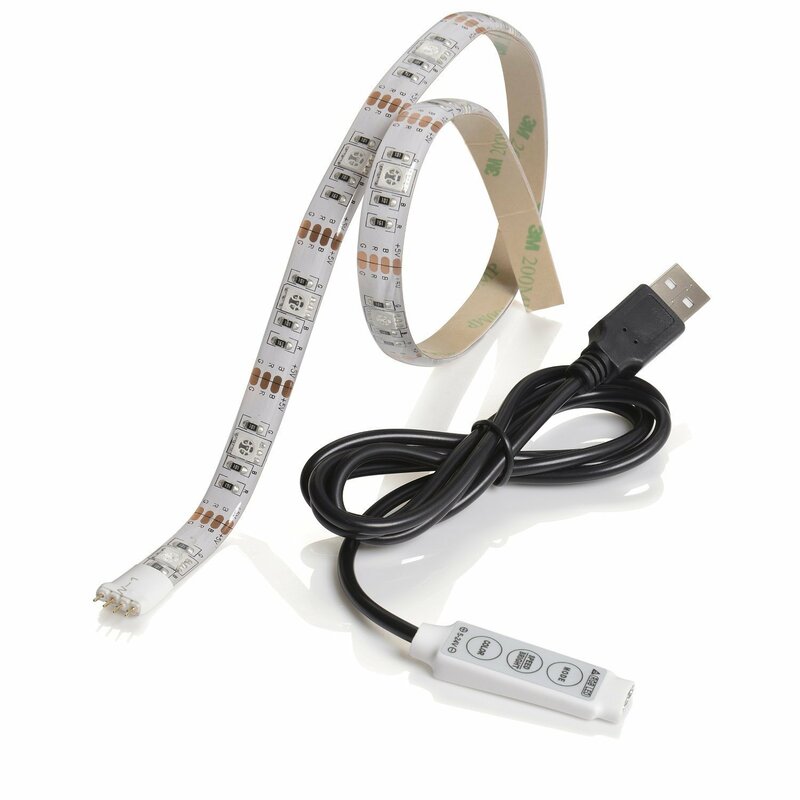 A 100cm strip of USB powered LEDs that will enhance and transform any TV or PC Monitor viewing experience. With a host of colours and modes to enjoy, this fabulous finishing touch will add ambience, mood lighting and help alleviate eye strain. Good product,good price easy to fit,use. 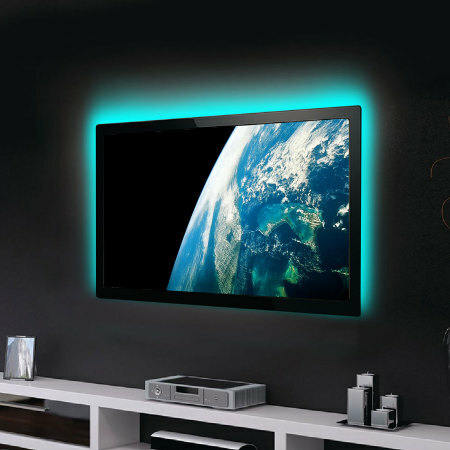 A novel item that brightens up the rear of your TV, the product is of good quality and is easy to install! If you worship your TV, why not go the whole hog and put a USB-powered halo around it? In all seriousness though there are many very good reasons to do this. First of all, it looks great. Secondly, it can really enhance the ambience of your room, office or workspace. Thirdly, it can enhance the picture, making colours and contrast seem more vivid and defined. Last but not least, it can help alleviate eye strain, especially when you're watching in the dark. Let's look at the features in more detail. O.K, so how does this work? Well, all you need is one USB port to power one strip. 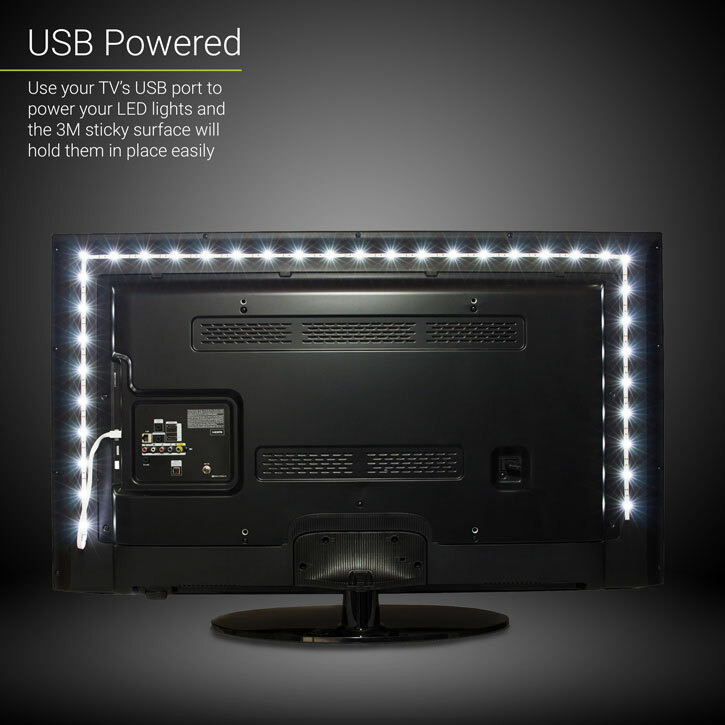 All modern TVs and PCs have them so powering is easy, and with a 3M sticky tape backing, mounting is even easier. The added beauty of using your TV's USB port means that the strip with turn off when you turn your TV off. When you turn the TV back on, the last setting you had on your LED strip is recalled so you don't have to get it "just right" again. Perfect. If you do need or choose to use more than one strip, you can always source an external powered USB hub. Also, these strips do not bend around corners easily so if you wish to do this, slight modification may be required. We recommend using multiple strips for angles however. It's easier and more effective, but the choice is yours. Your senses are amazing, Not only can you focus on what is onscreen but your surroundings too and what is happening around you, however subtle, has an impact. 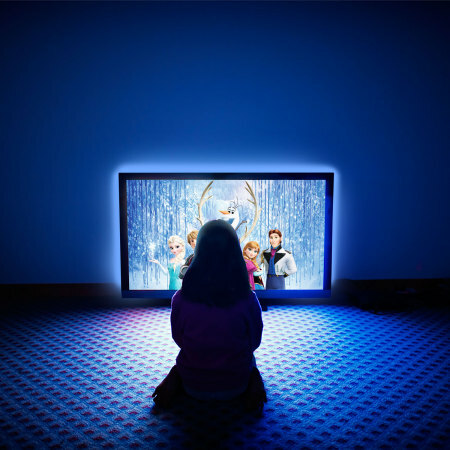 It all adds to the sensory perception and can greatly enhance or diminish your viewing experience. 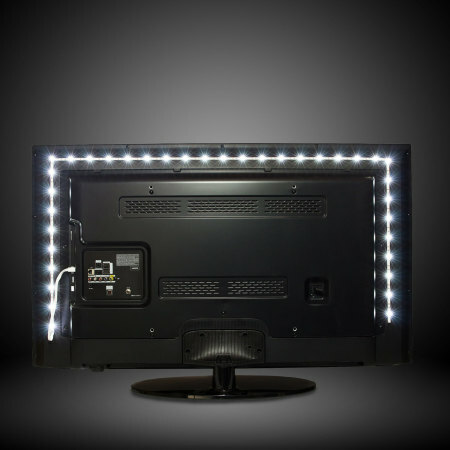 With these LED strips you can add colour and effect to add to what is on screen for a richer experience. It doesn't matter if you're a child (though they will love and be enchanted by it) or an adult. 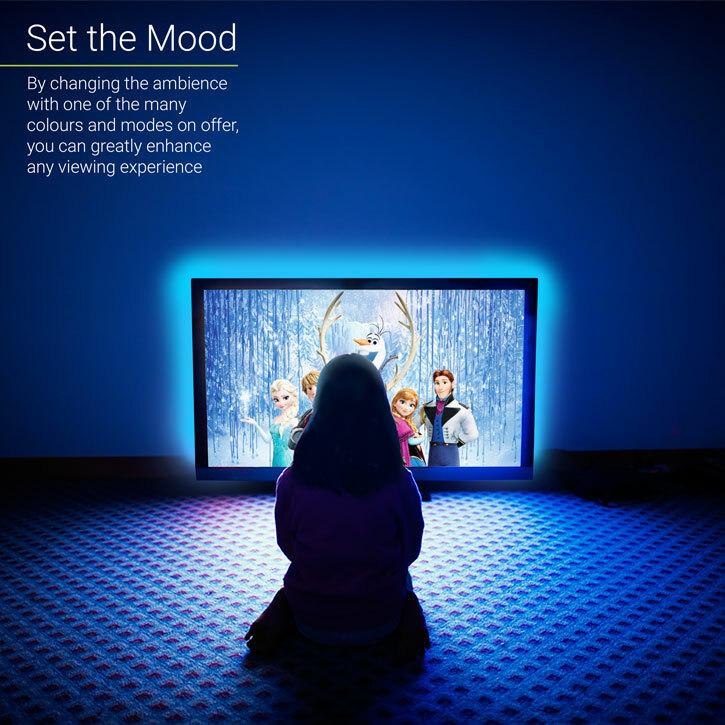 Setting an ambience or creating a mood sympathetic to what is oncreen will make viewing media far more rewarding and fun. Try it. Make no mistake, this is no dumb gimmick or decoration. 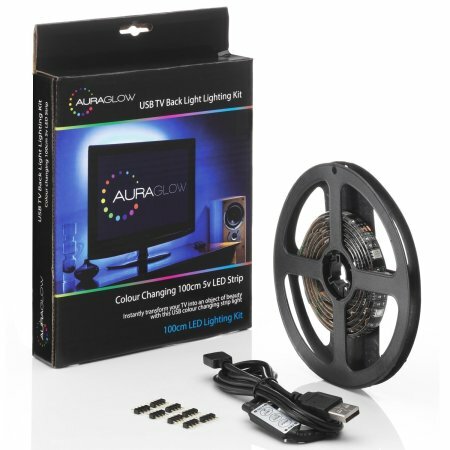 This is a dedicated smart accessory for any TV, monitor or any area near a USB port. 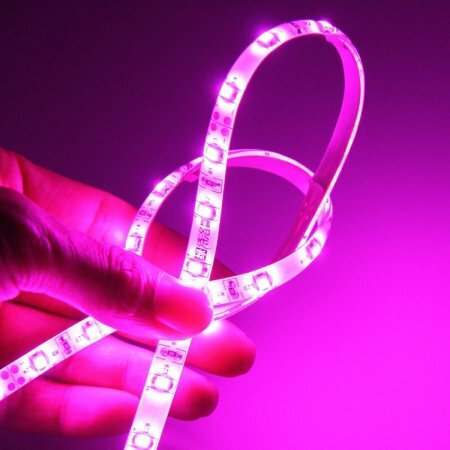 Attached to your LED strip is a control unit, allowing you to switch between 20 colours, 20 different modes including fade & strobe, 5 levels of brightness and 5 different speed settings. With this amount of options and control, there's no way you won't find the right setting to suit you or whatever mood you're in or to match what you're watching. This bright idea isn't just for watching TV of course. If you're a gamer or spend a lot of time on your PC, this is the perfect accessory to enhance your experiences. There are few more sensory intensive experiences than gaming, but what they can't do is influence off screen. 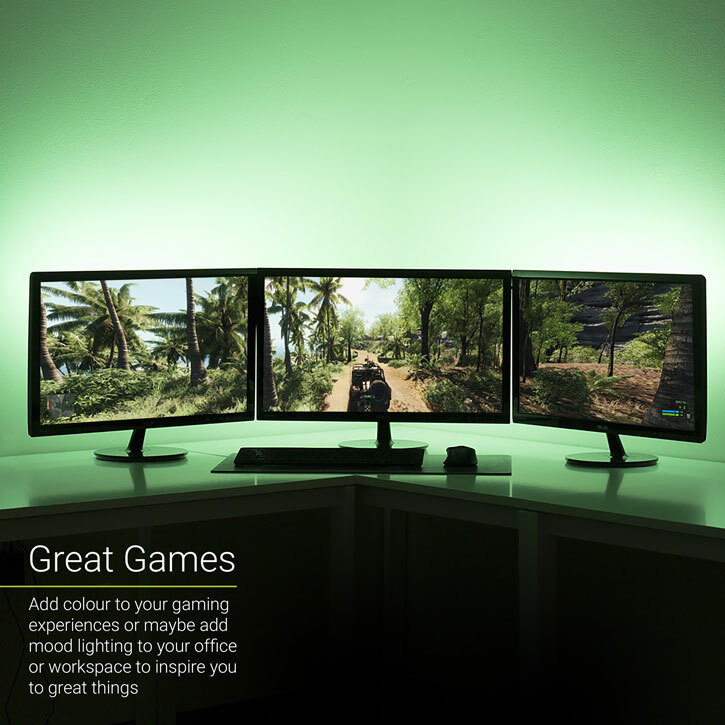 Well, by throwing the right light or effect behind your monitors or TV, you can take your experiences to the next level. 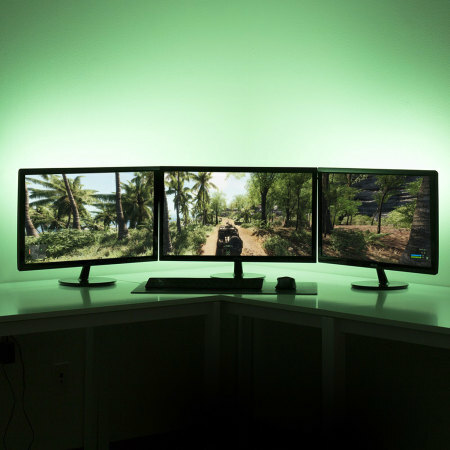 If you work from a PC, adding the right mood lighting to your workspace can inspire you to greater things, keep you calm and focused on your work and, maybe best of all, keep your eyes relaxed. We don't want to blind you with science (or light) but the theory goes a little something like this: If you watch bright screen images in the dark or low lighting, the sudden changes in brightness and contrast makes your eyes work harder to compensate and so can strain your eyes in no time. Conversely, if you watch a screen in bright light, there is little impact as everything is just as bright as everything else. Who wants to watch a good movie with all the lights on anyway? 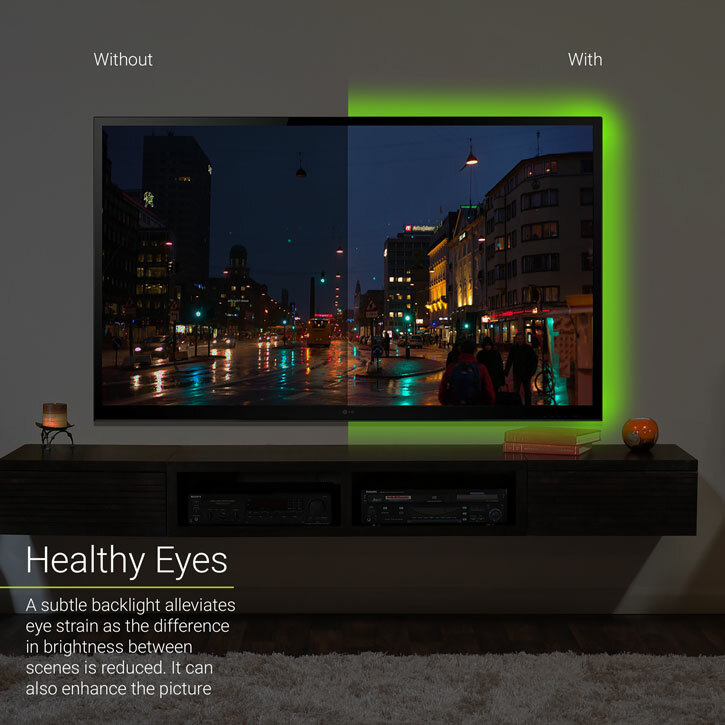 Have that cinema experience without straining your eyes as the light thrown out by the LED strips will help keep the light / dark in balance and give your eyes a rest while also enhancing the picture perception. So, not only mood enhancing and fun, but friendly to your peepers too. Please note: If the adhesive's protective layer is removed, this item can only be returned if faulty. A low cost reliable mail service. Usually delivered within 6-10 working days. A fast, secure and reliable service. Your item will receive priority handling, and benefit from a full online tracking facility so you can check your parcel’s progress along the way. Usually takes 3-4 working days.